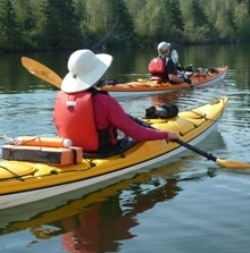 At the Northwest Voyageurs, we are comprised of both canoeists and kayakers of all types and skill levels. It's an ideal club in which to have fun and develop your paddling skills with knowledgeable fellow enthusiasts! 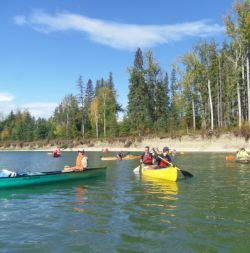 From April to October we offer one of the most extensive paddling schedules in Alberta. 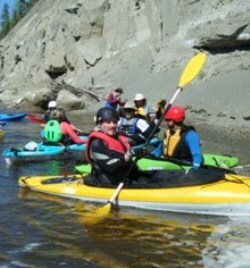 Occasionally we also organize longer sea kayaking trips on the west coast and wilderness adventures on northern rivers. Of course there are always social events like our monthly meetings, the annual Open House and barbecues. For those new to the sports of canoeing or kayaking, we have excellent training programs, offer numerous workshops, and have a large fleet of boats available for club members. If you are an outdoor enthusiast and would like to spend some great time on the water, browse our site and see what we have to offer! We look forward to meeting you!